The superior colliculus (SC) integrates relevant sensory information (visual, auditory, somatosensory) from several cortical and subcortical structures, to program orientation responses to external events. However, this capacity is not present at birth, and it is acquired only through interactions with cross-modal events during maturation. Mathematical models provide a quantitative framework, valuable in helping to clarify the specific neural mechanisms underlying the maturation of the multisensory integration in the SC. We extended a neural network model of the adult SC (Cuppini et al., Front Integr Neurosci 4:1–15, 2010) to describe the development of this phenomenon starting from an immature state, based on known or suspected anatomy and physiology, in which: (1) AES afferents are present but weak, (2) Responses are driven from non-AES afferents, and (3) The visual inputs have a marginal spatial tuning. Sensory experience was modeled by repeatedly presenting modality-specific and cross-modal stimuli. Synapses in the network were modified by simple Hebbian learning rules. As a consequence of this exposure, (1) Receptive fields shrink and come into spatial register, and (2) SC neurons gained the adult characteristic integrative properties: enhancement, depression, and inverse effectiveness. 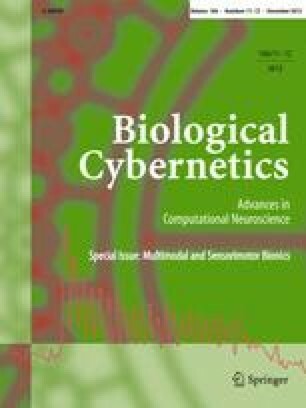 Importantly, the unique architecture of the model guided the development so that integration became dependent on the relationship between the cortical input and the SC. Manipulations of the statistics of the experience during the development changed the integrative profiles of the neurons, and results matched well with the results of physiological studies.